Classic table-top football game Subbuteo now features an all-female set in the colours of Women's FA Cup finalists Arsenal and Chelsea, reflecting the major strides taken on the pitch in recent years. The Football Association and the game's maker, Hasbro, revealed the limited-edition version ahead of the Wembley showpiece on Saturday. The FA said the new version of the game supported its objective to tackle barriers within the women's game. The classic Subbuteo box has also been given a new design, with the female footballers placed front and centre. The set is not available to buy but fans will have the opportunity to win one via FA social channels in the coming months. "This new, all-female Subbuteo set is a reflection of the rapid growth that women's football is seeing in the UK right now," said Marzena Bogdanowicz, the FA's head of marketing and commercial for women's football, adding, "We aspire to greater equality all the way from board games to boardrooms and every day we are striving to transform the future of the women's game on and off the pitch." 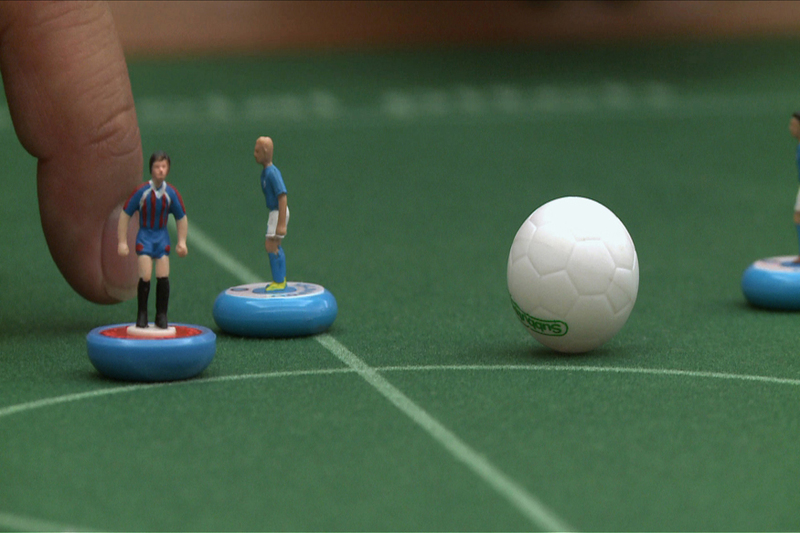 Hasbro senior vice president James Walker said: "We are incredibly excited to work with the FA to place focus on female footballers in this special edition of Subbuteo. "Subbuteo has a rich heritage that reflects the nation's love of football and this all-female playset is recognition of the vital role that women's football has in our culture," he said.